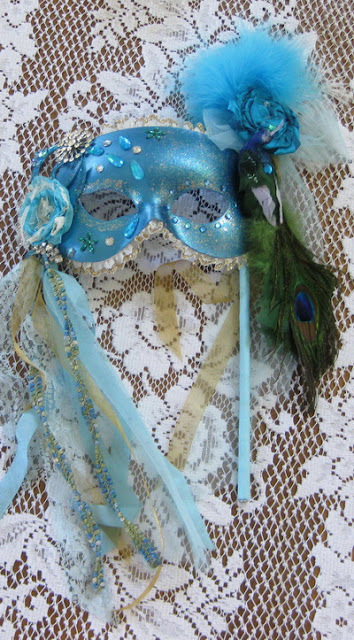 Artful Interludes: I love a Masquerade! What a beautiful mask! Love the color, and you haven't missed a single gorgeous detail....stunning! She must e happy her trade was with you! That is such a lovely look you've chosen to create!